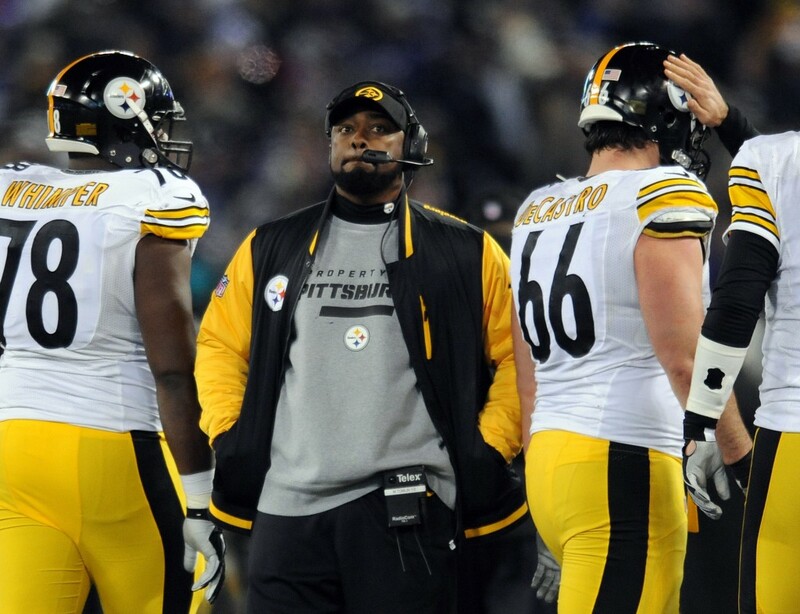 The NFL says Tomlin interfered with a play against the Baltimore Ravens on Thanksgiving. PITTSBURGH — Steelers coach Mike Tomlin’s ill-timed two-step has cost him $100,000 and could cost his team a pick in next year’s draft. The league fined Tomlin $100,000 on Wednesday for interfering with a play against the Baltimore Ravens on Thanksgiving. Tomlin was not penalized on the play, though the NFL said Tomlin should have been flagged 15 yards for unsportsmanlike conduct for nearly colliding with Baltimore’s Jacoby Jones during a kickoff return midway through the third quarter of a 22-20 Ravens victory. The seventh-year head coach called the play “embarrassing, inexcusable, illegal and a blunder” but stressed it was not intentional. Tomlin was standing on the restricted white border between the sideline and field during Jones’ kickoff return. Jones had to swerve to avoid running into the coach and was tackled after a 73-yard return that might have gone for a touchdown if not for the obstruction. Tomlin briefly stepped onto the field before he jumped back. Tomlin said Tuesday he was “mesmerized” by watching the return on the video board and would accept any repercussions for his actions. Tomlin’s players have defended him, noting it’s not unusual for players or staff members to find themselves on the edge of the field during a play. Safety Ryan Clark admitted to standing near the playing surface while watching the Steelers attempt a late 2-point conversion in the final minutes against Baltimore. Quarterback Ben Roethlisberger declined to discuss whether the loss of a draft pick would be too excessive but added he doesn’t think the furor over Tomlin’s near-trip will serve as a distraction for Pittsburgh (5-7), which is still in the playoff hunt. Tomlin’s job is not in jeopardy and he said Tuesday he had not spoken to team owners Dan and Art Rooney II about the situation. “I would imagine if the Rooneys thought that I was capable of that or they thought my intentions were that, I wouldn’t be sitting at this table talking to you guys,” he said. 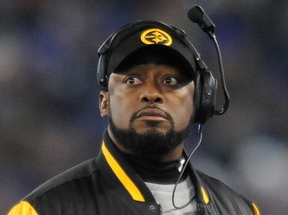 Tomlin makes $5.25 million a season and the fine constitutes less than 2 percent of his annual salary. He is far more concerned about the uncomfortable position he put the league and the Steelers in after failing to get out of the way with any sense of urgency. The penalty is large for on-field conduct but a coach but is not among the heftiest in league history. The NFL slapped New England coach Bill Belichick with a maximum $500,000 fine in 2007 for spying on an opponent’s defensive signals. New Orleans coach Sean Payton was suspended for the 2012 season for his role in a bounty system that awarded Saints players for injuring an opponent. Tomlin’s predecessor, Bill Cowher, raised eyebrows but was not disciplined in 1997 when he feigned tackling Jacksonville’s Chris Hudson as Hudson ran back a Pittsburgh field goal attempt for a touchdown on the final play of the game in a 30-21 Jaguars victory.